On Monday evening at the Policy and Resources Committee there was a very interesting report put forward which looked at the Dundee fairness strategy and child poverty, (Pages 61-85 of the pdf). This is a good report in that it highlights the problems faced by people in Dundee, it is an disgraceful report in so far as it highlights a situation that has no place in twenty-first century Dundee. The report recommends that councillors and a wide range of others get together and form a Fairness Commission for Dundee. I welcome that although I want to be reassured that this commission will include people who live in poverty and that this process will follow the principle of nothing about me without me. Tackling poverty should not be about officers or councillors, no matter how well intentioned, doing things to or for people it should be about respecting the innate human dignity of each individual and empowering them and their communities. I was a little disappointed when Councillor Jimmy Black brought forward an amendment to his Administration's own report which basically said that independence is a magical cure-all and that it is the only way to solve these problems. I know that Councillor Black cares passionately about poverty and I respect him for that and I know that he can do better than this. There are competing visions of how we solve poverty but merely by changing the flag we will not eradicate poverty. I respect the strongly held convictions of other councillors including those who think that independence is part of the solution to poverty. I am clear in my own view that it isn't and I am also clear that it certainly isn't a magic cure-all. As councillors in Dundee we have an important duty placed upon us by the people of Dundee. Of course, over the next week or so we will all make our views known about the Referendum. However as councillors our job is not to talk about constitutional solutions, it is to do our best for the people of Dundee. We need to make Dundee a fairer place to live. Every political party represented in the City Chambers has made mistakes that have led to the disgraceful statistics. If we try to indulge in a pointless blame game we are not helping a single person living in poverty in the city. Our job is to try to find a solution to these disgraceful problems. We need to make this city a better place and we would do well to remember we need to work together to deliver on that. I think the report before us gives councillors and others who want to make a difference to Dundee a real opportunity to work with communities across Dundee to change Dundee for the better. Turning the report into a petty party political squabble does a disservice to the people we should be trying to serve. I become involved in politics to make the world a fairer place and to eradicate poverty (or at least give it a very good go!) and I am prepared to work with anyone to do just that to make Dundee a better place. Tonight I attended the September meeting of the West End Community Council. The main item discussed was about HMOs in the West End after recent publicity about problems. There was a good discussion about this and it was good to listen to the views of local people. As a local resident I know about some of the issues which HMOs bring. I think that there is a need to look at the situation. I am clear that we need a balance in the West End so that it is not HMOs everywhere. I know that some people are anxious when they hear about HMOs in their area. I would say that I understand that anxiety but would also say that HMOs bring improved standards in theory at least. I would argue that we should tighten up the rules for privately-rented flats currently excluded from the HMO regulations. Whilst, problem tenants are not all students I do think that Dundee's universities should have a look at how they can help the communities in the West End and elsewhere by looking at how they can encourage, cajole or even make their students behave well in their flats. It is always good to listen to the concerns of the local community and the Community Council gives that opportunity. Tonight at the council's Policy and Resources Committee I was very disappointed that the SNP Group on the council joined with the single Conservative councillor in Dundee to force through an item which means that the preferred bidder for the V & A Dundee contract is a self-acknowledged blacklister in the shape of BAM Construction. Those who follow what Dundee City Council does will be puzzled by this. On a number of occasions I have moved items which commit Dundee City Council to opposition to blacklisting and state that we would not give contracts to companies which have operated a blacklist and who have not taken remedial action. The SNP Group said that they had legal advice that told them that they couldn't block BAM Construction. This is a remarkable tribute to Dundee City Council's legal department. Those who have been watching the Referendum debate will be aware that the SNP are prepared to defy legal advice on a wide range of issue such as the future of the pound, whether Scotland could join the EU, whether Scotland could join NATO and a range of other issues. In doing this they have defied the views of a wide variety of eminent lawyers. Blacklisting is a disgraceful practice which impacts on the life of those who are blacklisted. Dundee City Council should have spoken with one voice against blacklisting. I was shocked that the SNP hid behind legal technicalities. The council has a clear policy on blacklisting, officers said that we might not have been able to apply it retrospectively since this process had begun a couple of weeks before the council's policy on blacklisting was agreed in August 2013. Morally we were clearly committed to blocking blacklisters. I think that we should have stood up for what we believe in (or at least said we believed in) and said to the council we want to block blacklisters, tell BAM that if they want to get this contract they need to take remedial action and compensate those who suffered as a result of the blacklist operated by BAM. It is a disgrace that Dundee City Council has allowed this unwanted, unnecessary and pernicious practice to go unpunished. Nobody should be in fear for their job because they are a trade unionist or they campaign for improved health and safety in the work place. I want to start by saying that I have been and remain a strong supporter of the V & A Dundee project. I fully expect to be told that I am jeopardising this project while frankly I reject that point. I am trying to get this project to deliver on the council's stated policies. What we are being told here this evening is that we have no option other than to agree to this, that is not what we were elected for. This council has taken a stand and said that we are opposed to blacklisting. Unanimously we took that stand on 19th August 2013 and reiterated it and made it stronger on 21st April 2014. Even at the last meeting at the end of August we decided that we should strengthen our stance on procurement. We have a real problem here tonight, BAM Construction admit on their website and in the briefing note that has been circulated that they have taken part in blacklisting. They have not yet taken remedial action, therefore it is clear that the policy of this council and of the Scottish Government is that they have committed an act of grave misconduct and should be excluded from tendering for public contracts. ‘This guidance makes it clear that firms which have engaged in blacklisting have committed an act of grave professional misconduct and should be excluded from public procurement, unless they can demonstrate appropriate remedial action.’ This quote is for 9 August this year and those are the words of the Deputy First Minister Nicola Sturgeon. We have a dilemma before us this evening, colleagues. Do we implement our policy or do we admit that we either didn’t understand or didn’t agree with a policy which we passed unanimously at least twice in the last 13 months. Do we want to live in a city and a country which protects the rights of workers or one which takes the side of big business? We are being asked to hide behind legal technicalities which may or may not apply. 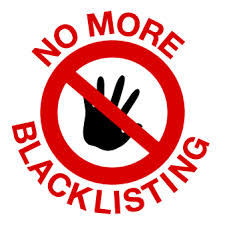 We have asserted a moral position to oppose blacklisting previously it would be disgraceful if we did not apply that position when given the chance. The V & A is an excellent development for our city, and I look forward to this great British institution opening in our city. It would be better to know that it had been procured in an ethical manner and that the highest standards had been maintained and that this significant investment of public money in our city followed the council’s policies and ensured the maximum social, economic, environmental and community pay back. I hope that you will support the council’s stated position this evening. To some extent the question here tonight is are we on the side of the workforce or are we on the side of big business.